FTL Games (Faster Than Light) was the game division of Software Heaven Inc. (P.O. 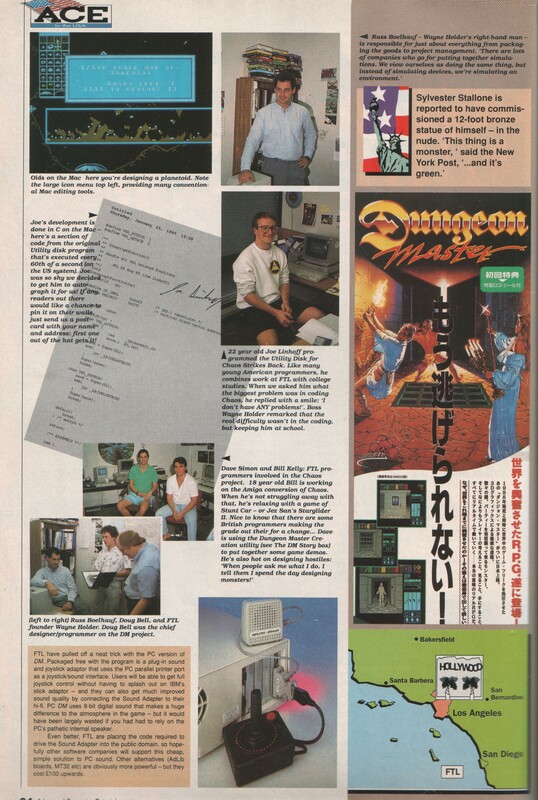 Box 112489, San Diego, California 92111), a company that created some great games in the 80's. Despite their small size, FTL products were consistently number one sellers and received the highest critical acclaim and industry awards. 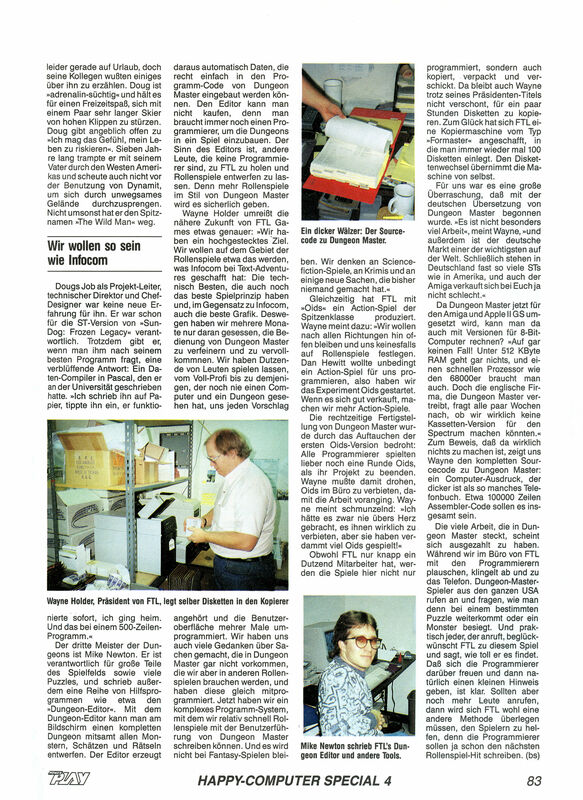 FTL was founded in mid 1982 and ceased operations in 1996. You can also check the Wikipedia article about FTL Games where you can view a photo of Wayne Holder, Nancy Holder and Bruce Webster. 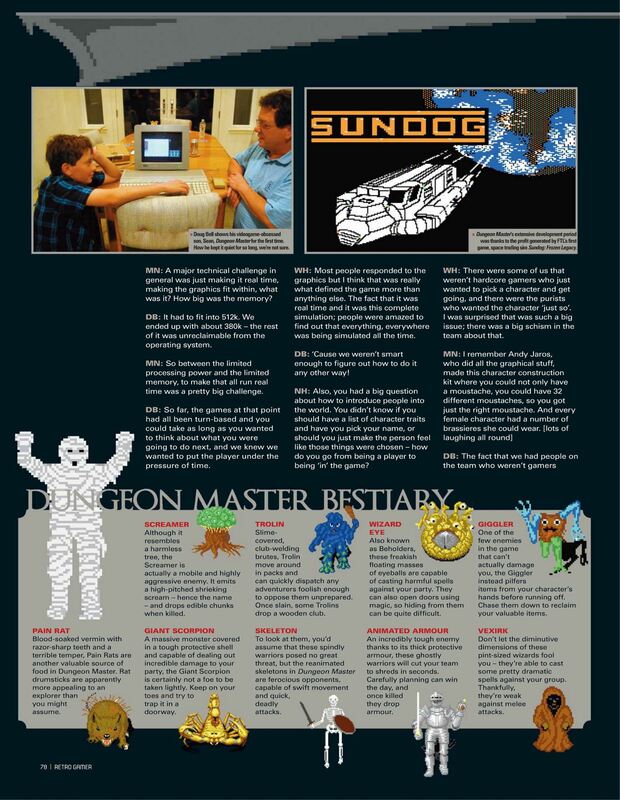 Daniel Durgan's web site, The Un-Official Dungeon Master Web Site (now disappeared). The info on his site was already taken from the FTL Games homepage, which has also disappeared. Bruce F. Webster's web site: The Sundog Project. Mobygames, a huge game database. Credits found in games and their manuals. 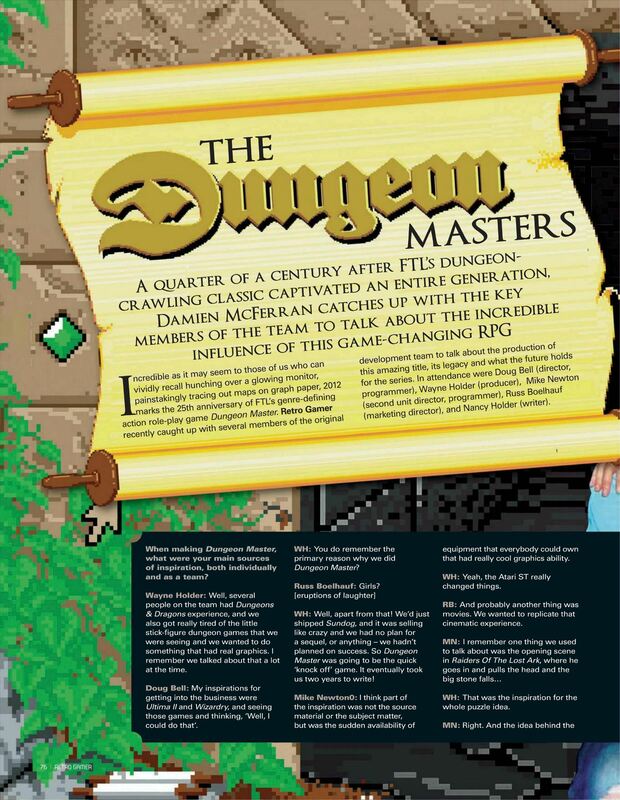 On the first photo, the black lines on Andy's table define the layout of the front cover of the second edition of the Hint Book - Dungeon Master Adventurer's Handbook. 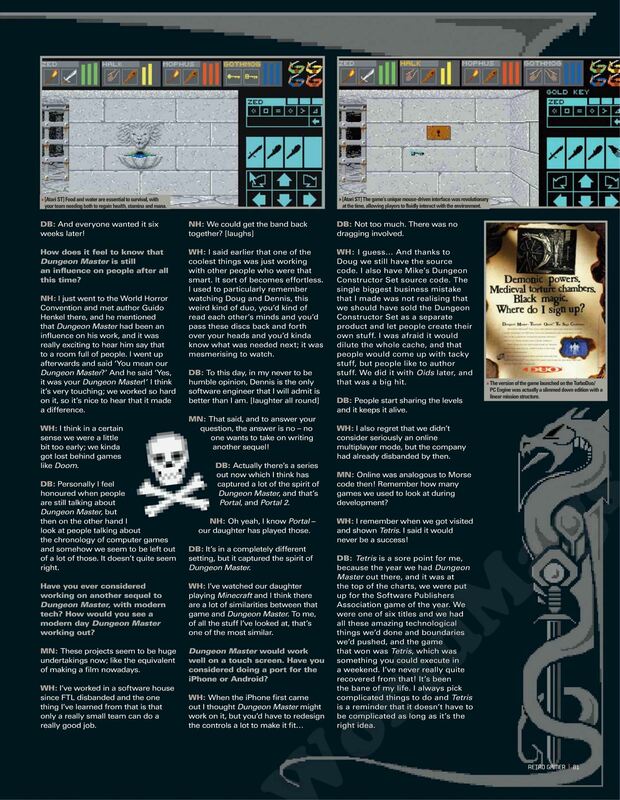 Check the interview of Wayne Holder published in Hint Book - Dungeon Master II The Official Strategy Guide on pages 131-133. Here is the list of games created by FTL Games. 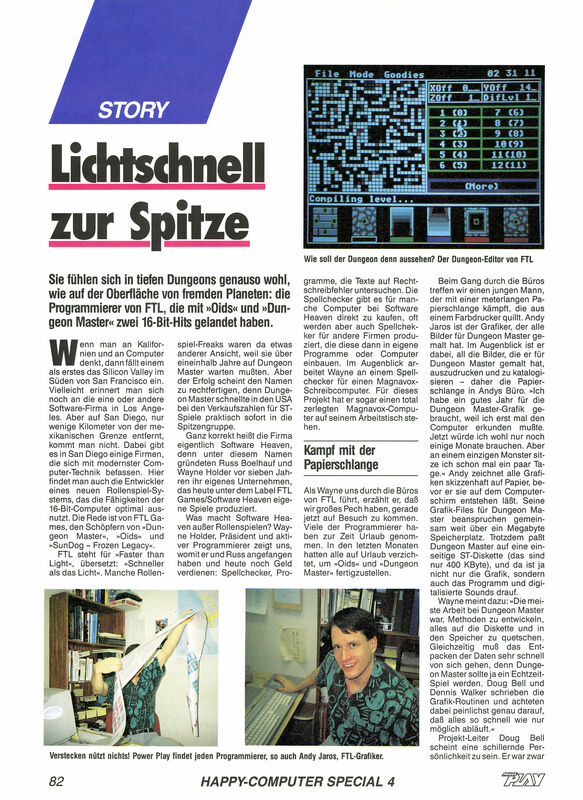 FTL Games developed Dungeon Master, Chaos Strikes Back and Dungeon Master II. 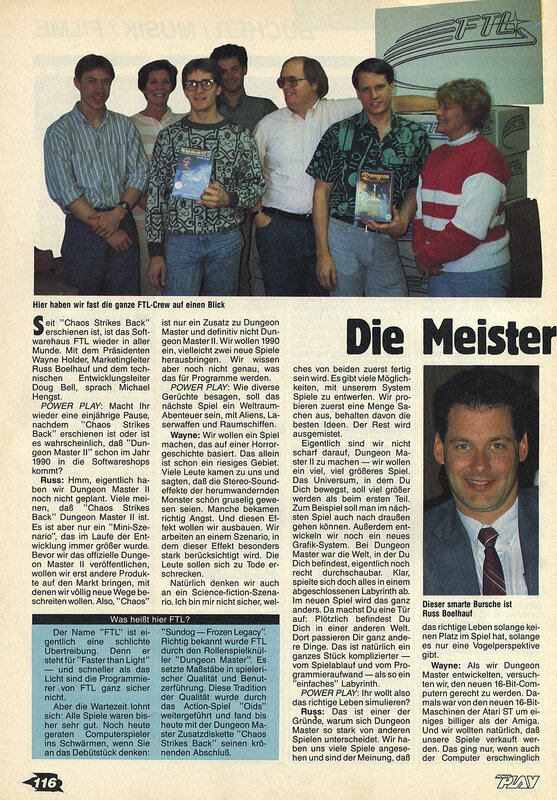 Theron's Quest and Dungeon Master Nexus were developed by other teams. 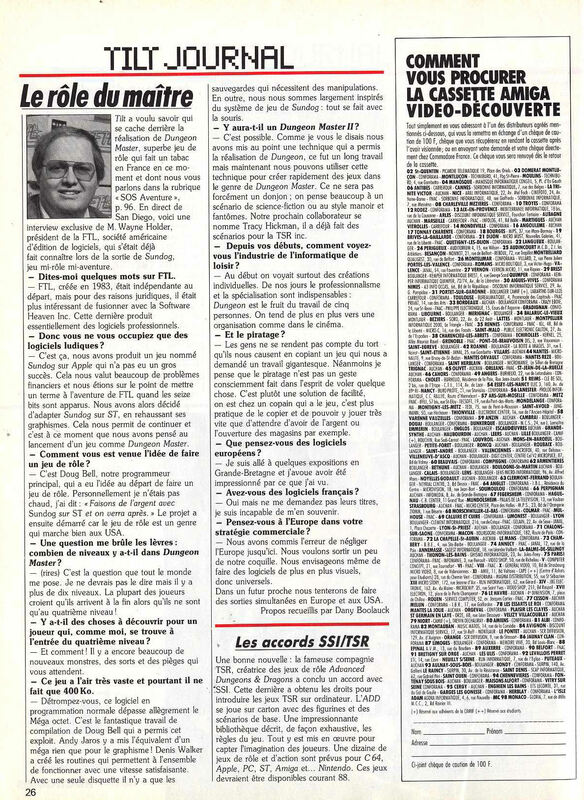 Sundog, a space trading adventure, was the best selling product of any kind on the Atari ST in 1986. 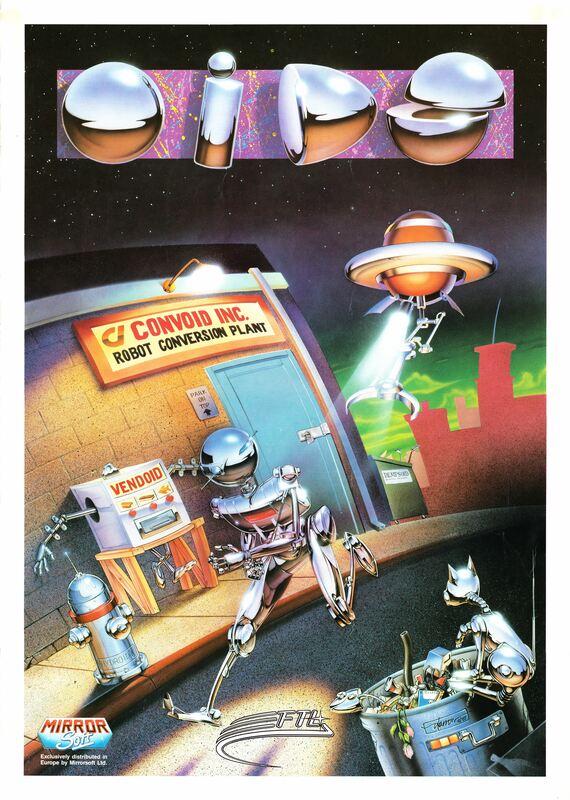 Sundog was originally released for the Apple II computer in March 1984. You can download the Atari ST version of this game from the Little Green Desktop. The Sundog Project: Bruce F. Webster's Web site. 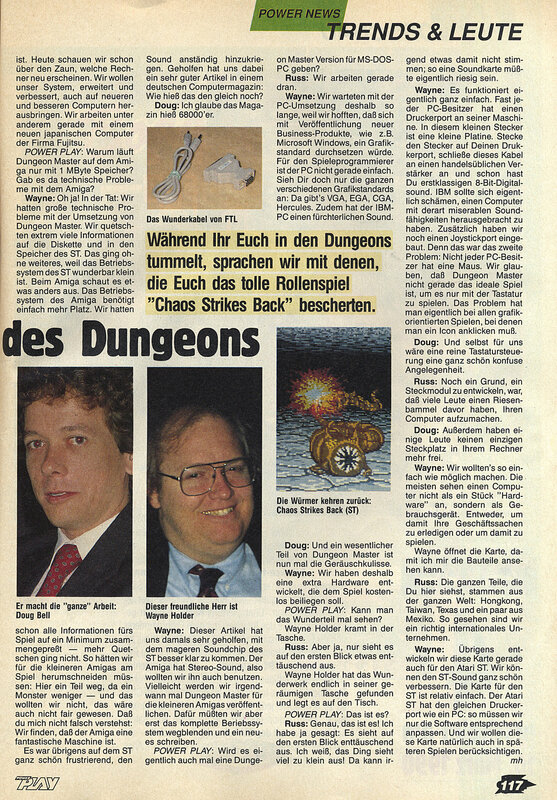 He was the co-designer (along with Wayne Holder) and principal developer of SunDog: Frozen Legacy. 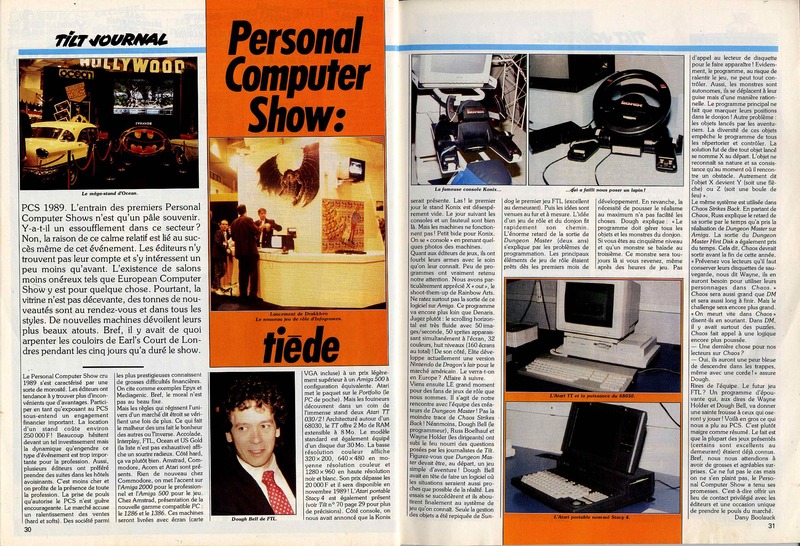 The arcade game OIDS (on Macintosh) received 5 mice from MacWorld, their highest rating, after it was released in 1990. 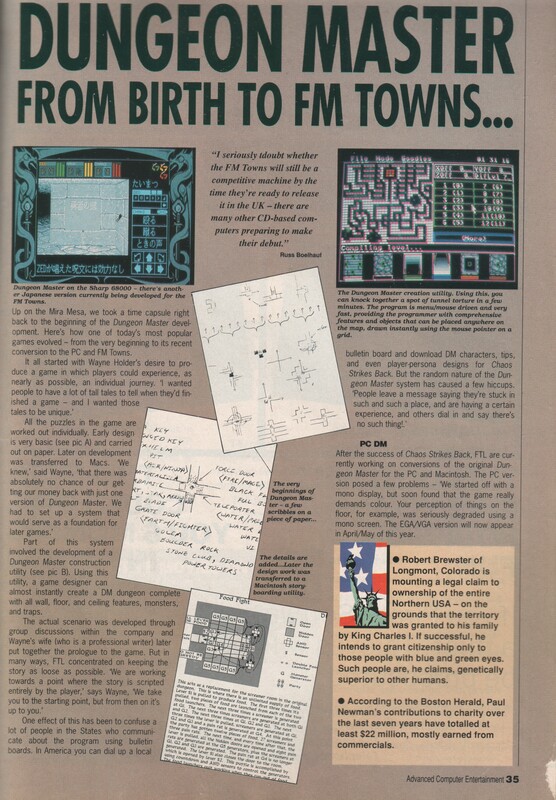 OIDS was originally released for the Atari ST in 1987. OIDS was re-released as shareware for Macintosh (both Classic and OS X) in 2003 on Kirk Baker's web site. 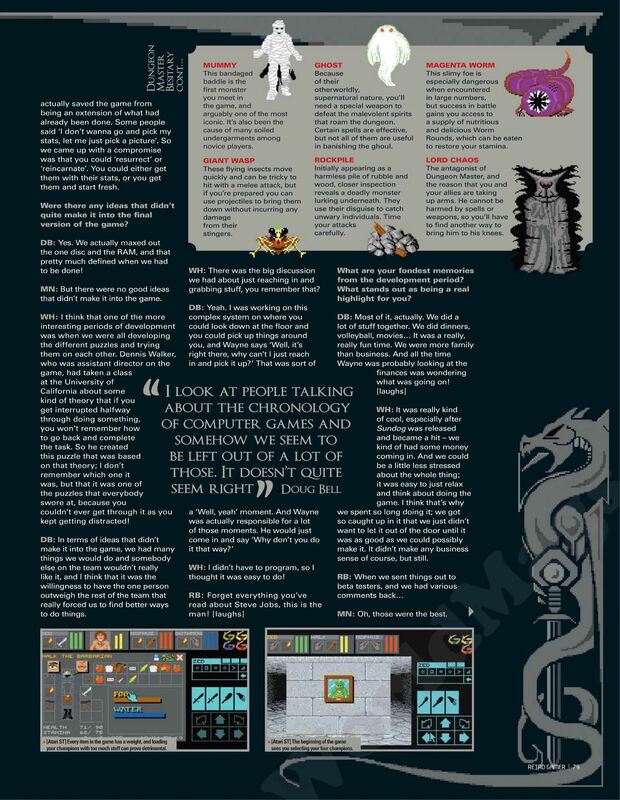 You can also view the game manual on the site. 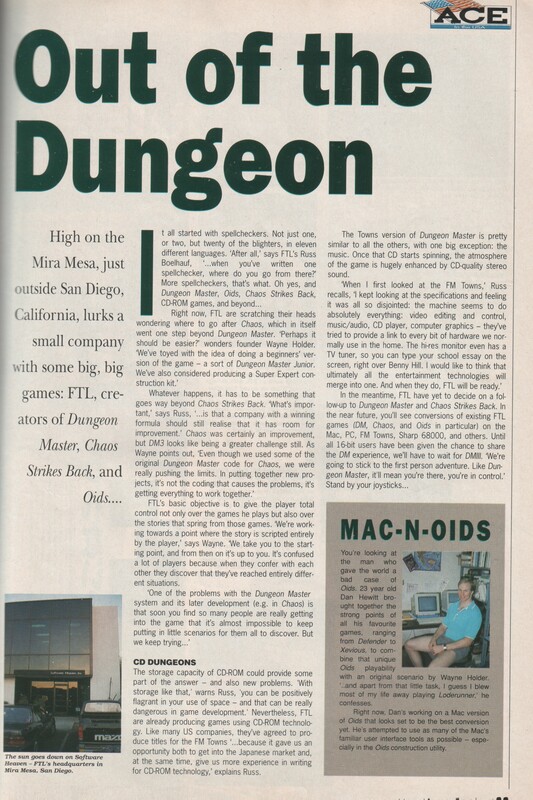 You can download the Macintosh version on the Macintosh Garden web site. 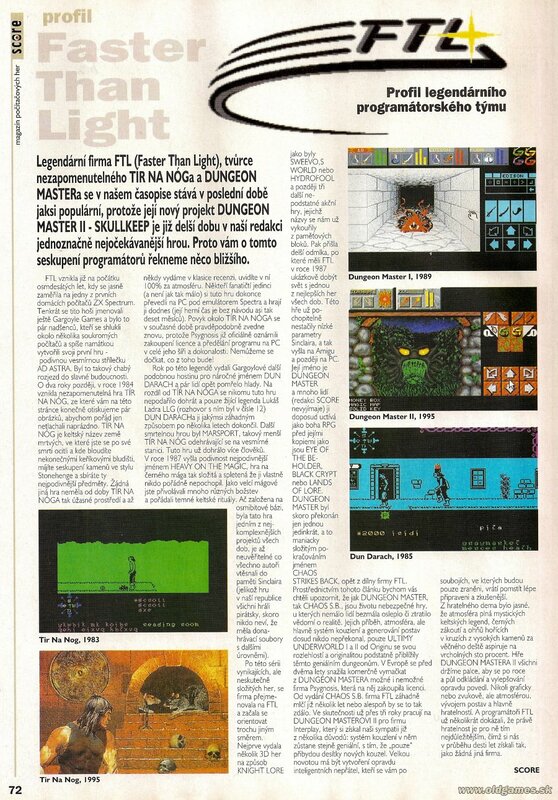 The Atari ST version is available on Automation Disk 097, the same that includes Dungeon Master. 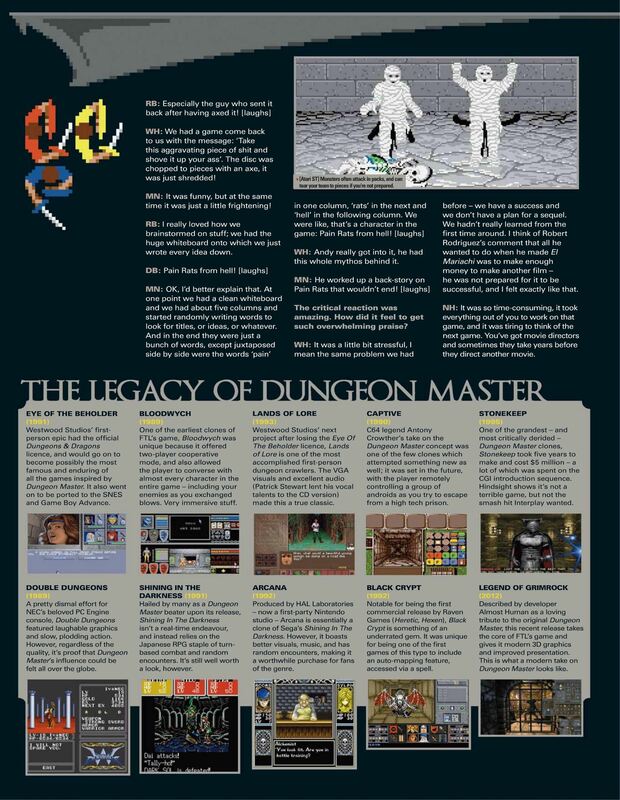 It is available at the Dungeon Master for Atari ST page.